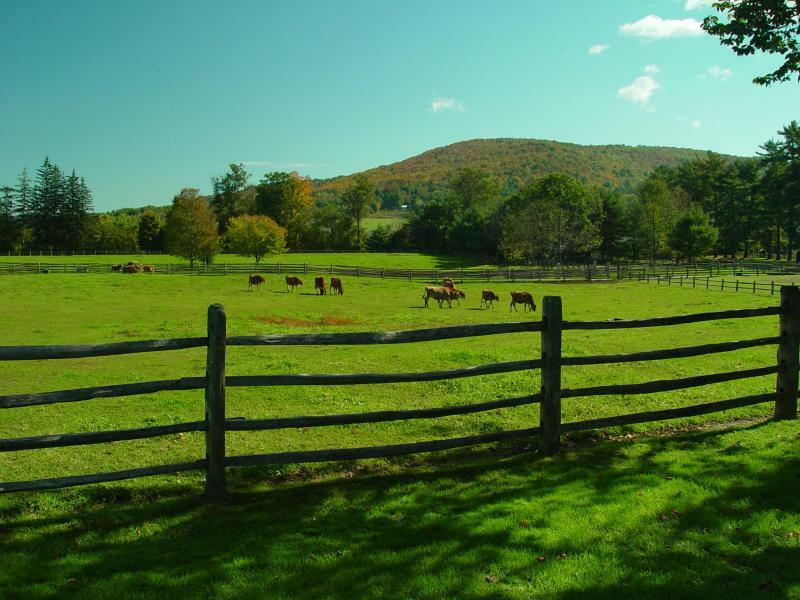 We spent the night in Woodstock, Vermont. A charming and seemingly rather rich town that closes down quite early. My fantasy world is one where things are open all the time. So it was a bit disappointing that everything seemed to lock up tighter than a drum by 5:30. On the way we stopped in Middlebury taking a quick turn around the Middlebury College campus (home of tghe Break Loaf Writer’s Conference) and a walk through downtown. There we found yummy ice cream, a good used bookstore, a bespoke shoe/sandal/boot maker, a raging river, and a Ben Franklin. 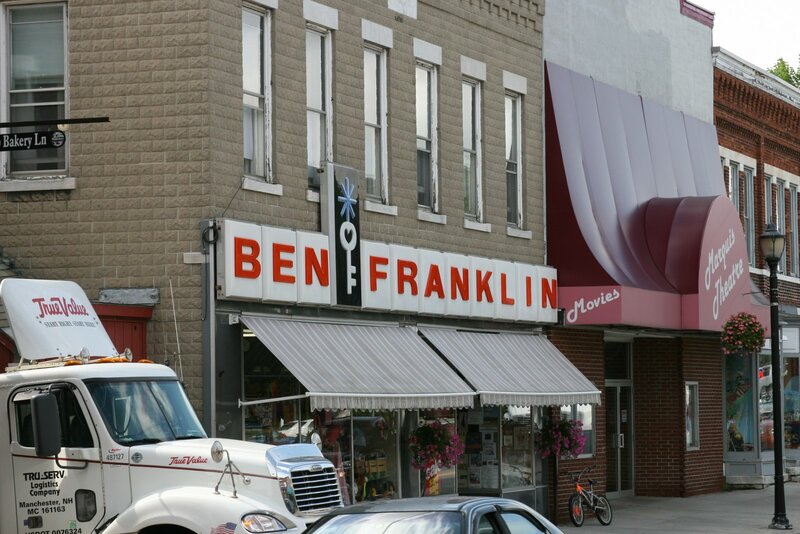 I don’t think I have seen a Ben Franklin since the mid-80s when the one in my hometown of Elk River, Minnesota went belly up. Who knew they still existed. We also popped over into New Hampshire so I could say that I have been there. It was a state I needed to cross off my list. 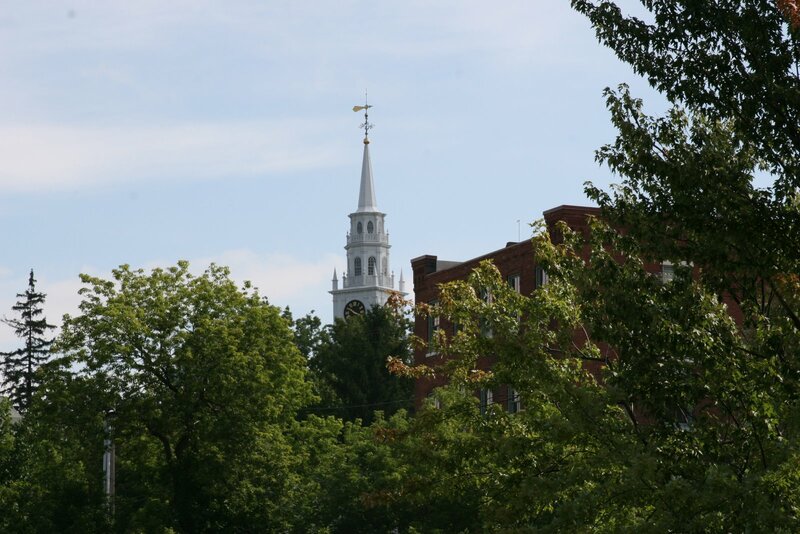 We ended up checking out the Dartmouth campus in Hanover. 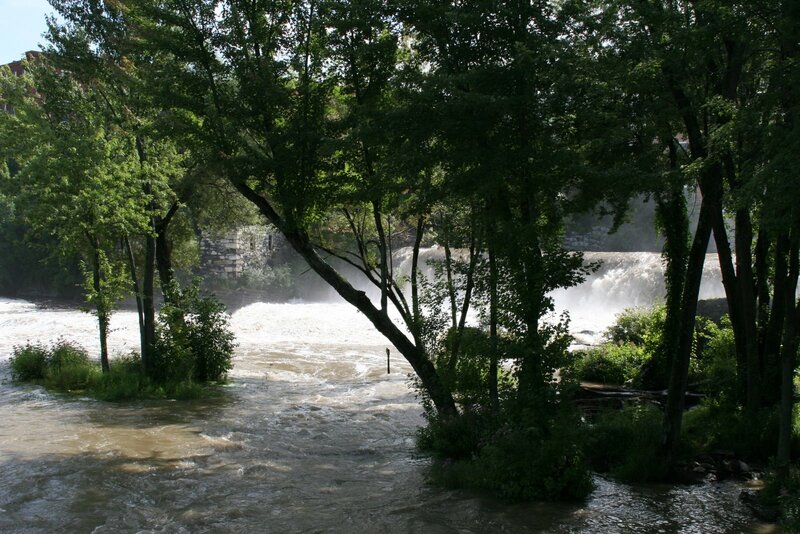 Took a look at Quechee Gorge back in Vermont, and had a very nice dinner at Simon Pearce. Perched right next to the Quechee River to take advantage of hydro-power, Simon Pearce makes beautiful blown glass and ceramics.